With the alien invasion a complete success, the visitors have the entire globe firmly in their grasp. Every nation has bowed in the face of superior technology and military might, and only scattered resistance groups remain to fight for the human race. The aliens continue to entrench themselves, not only in fortified cities, but in the very zeitgeist of humanity. They bring medical technology beyond our comprehension, and the appeal of advanced genetic manipulation to supplement our own flawed genes is hard for the oppressed masses to resist. If you can't beat 'em, join 'em, right? 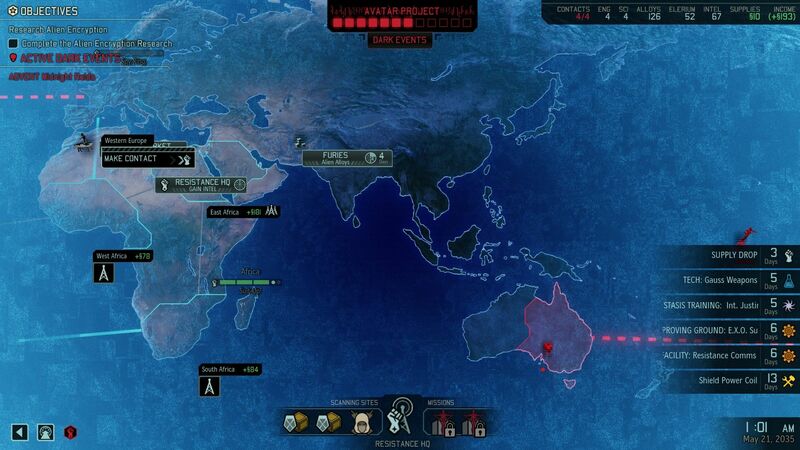 In the unlikely event you're not familiar with XCOM, it is a sci-fi tactics/strategy game from the early 90s. 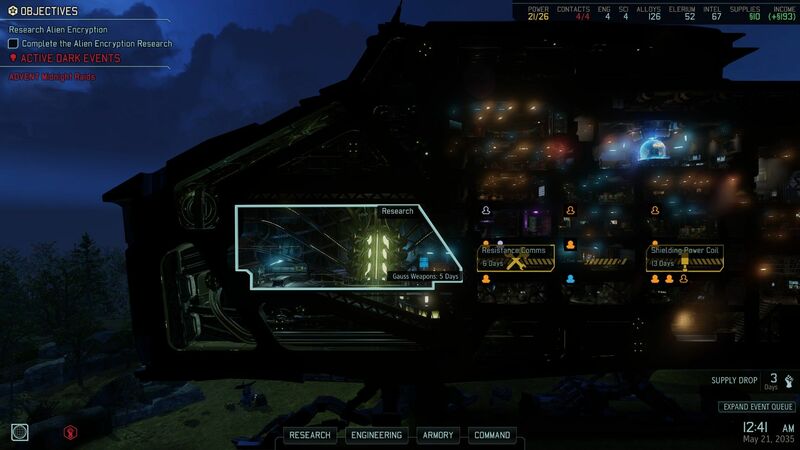 It's got the strategy staples of resource management and base construction, with a zoom-in, turn-based tactical combat layer where you engage the aliens. 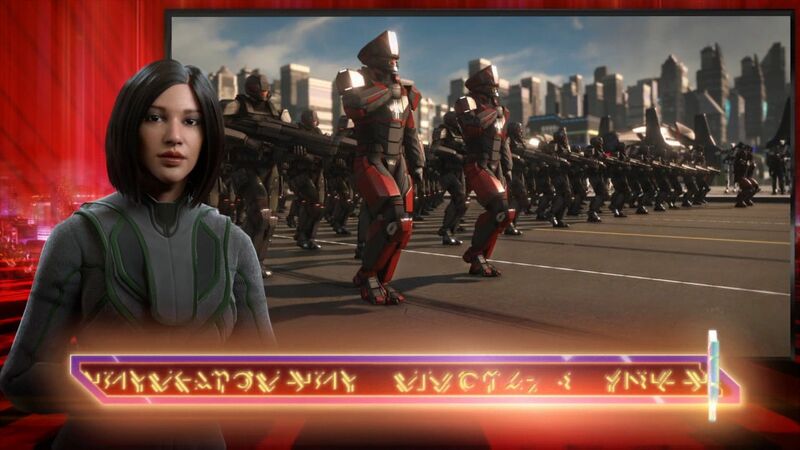 You'll research technology, build new ships and weapons, and, if all goes well, fight back the invading extraterrestrials. 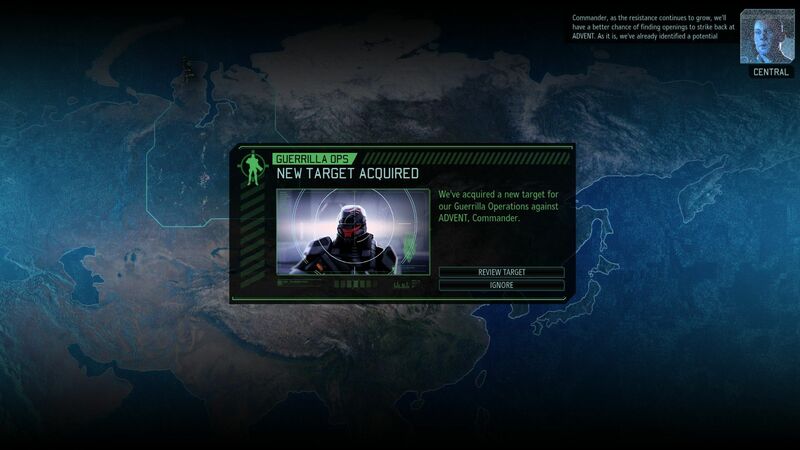 Firaxis developed the 2012 reboot, Enemy Unknown, with many fans surprised at just how well it was done. 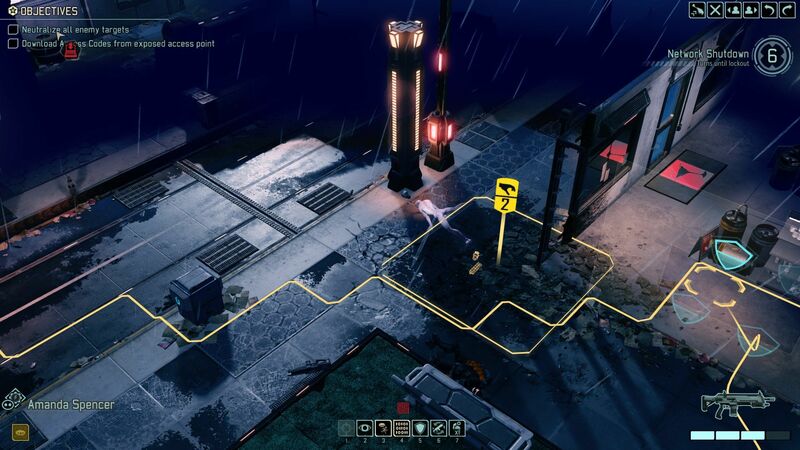 Where XCOM Enemy Unknown and its follow-up, Enemy Within diligently stuck to the 90s-era source material of X-Com UFO Defense, Firaxis is taking a different tack with XCOM 2. I'm not big on change, especially when it pertains to my fondest childhood memories in gaming, so I've had a number of worries about the changes we've seen in trailers and such. 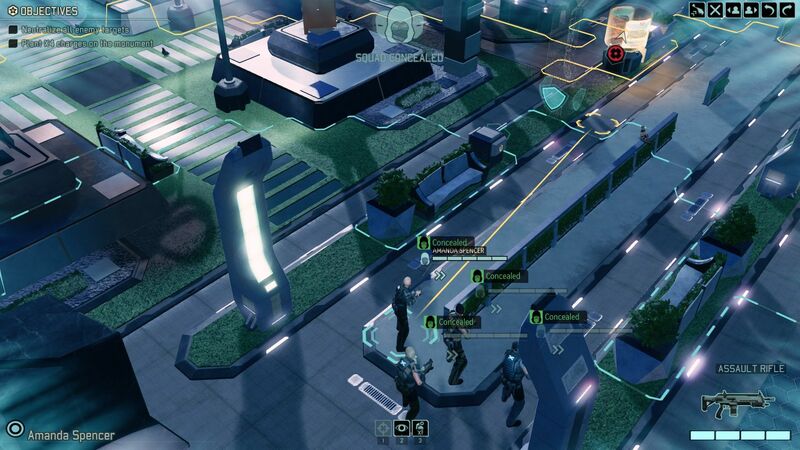 The melee class seemed completely counter to the decades-old XCOM mantra, "Cover or die." Even at a glance, it was obvious that the strategy layer has seen a major overhaul as well. 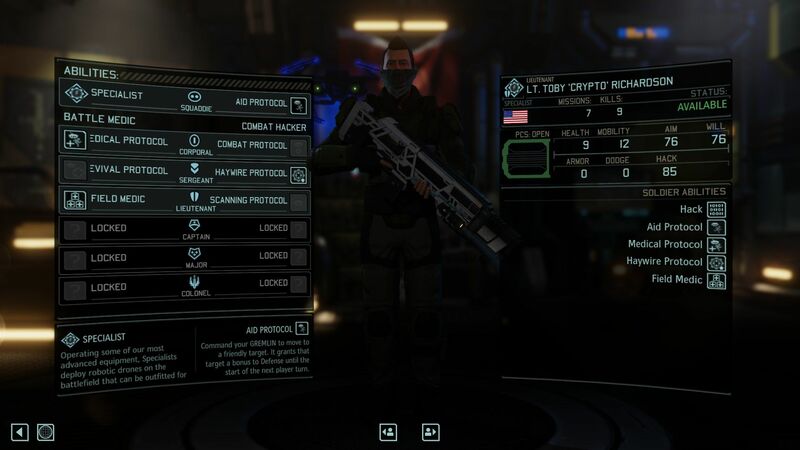 Rest assured, the biggest changes are all much-needed improvements, and the more minor updates add a lot to ensure it's a new experience for Enemy Unknown/Within veterans. 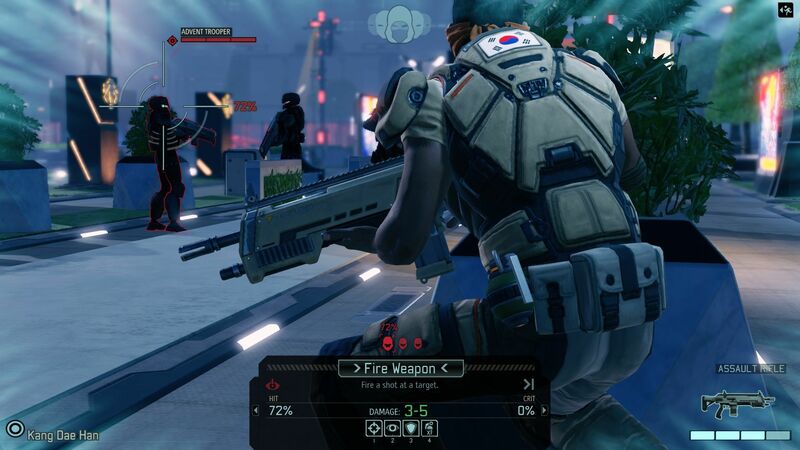 To date, XCOM has never really been about story. 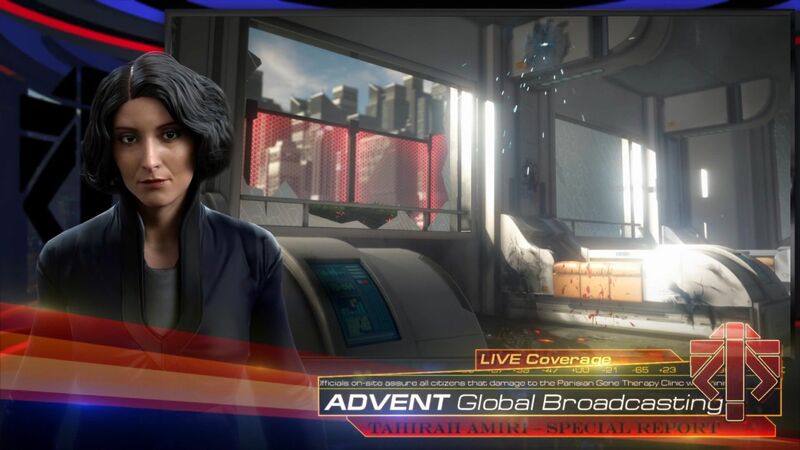 There's an alien invasion, and there are some fun reveals along the way to defeating them, but there's never been a particularly strong narrative aspect. 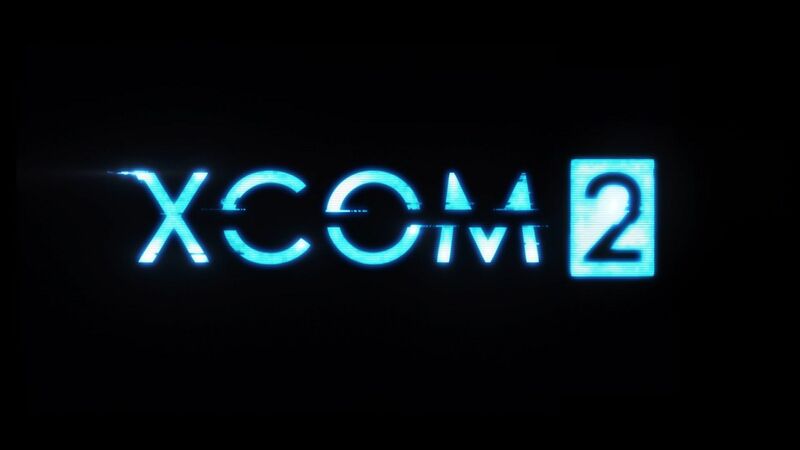 XCOM 2 isn't exactly The Last of Us, of course, but it has a lot more of a story behind it, beginning with your hypothetical failure to repel the invaders in Enemy Unknown. There have been a few core plot points revealed so far, but we'll avoid spoilers here so you can enjoy the first real story in the franchise on your own. 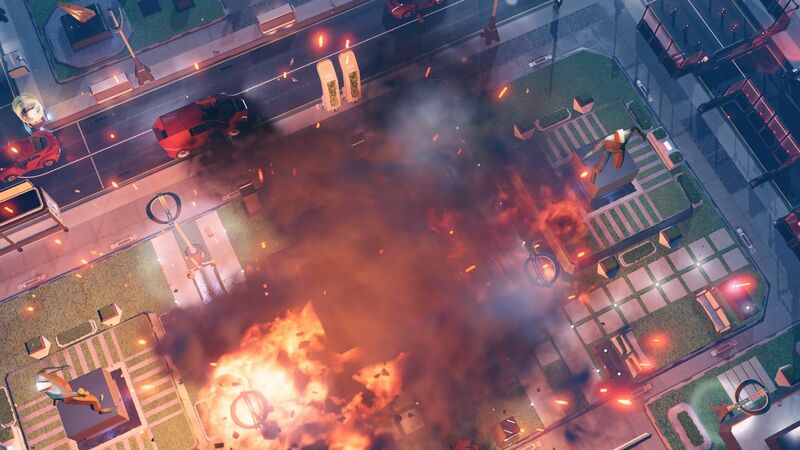 There are numerous gameplay changes that make the experience distinct from its predecessors, but the most obvious and impactful is the strategy layer. While base building is largely the same as before, the actual map (Geosphere) brings some important changes. 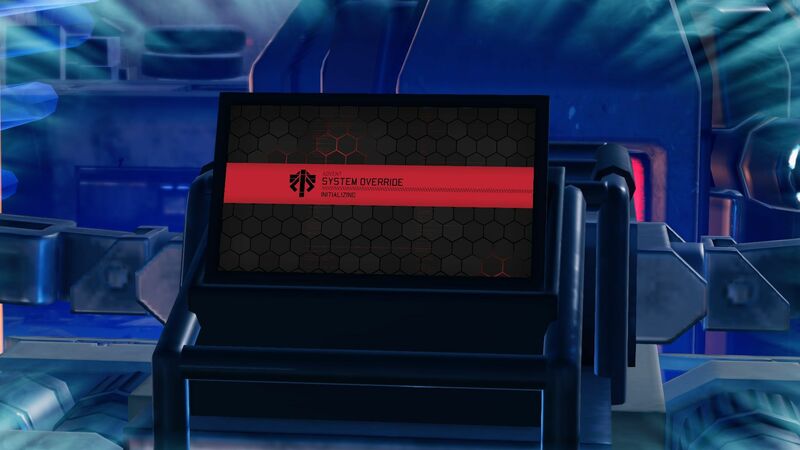 You're still scanning to pass time, but there will be options for what you're scanning on the Strategy layer. 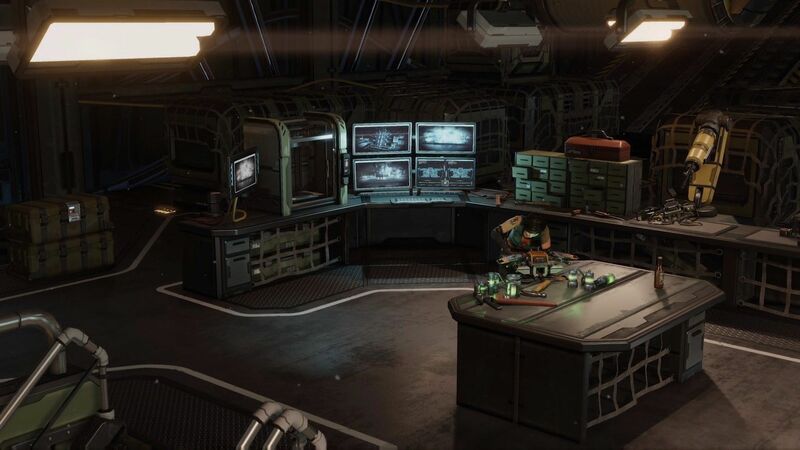 Whether you're contacting a resistance cell or searching for a supply drop, you're no longer simply waiting for a new alien craft to shoot down. Some combat missions are still a binary choice - do one and fail the other - but others like Supply Raids are another cost/benefit situation. 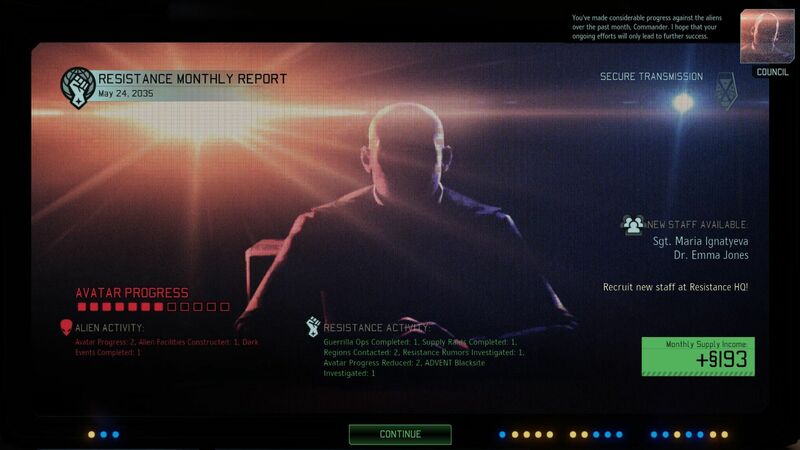 Is it more valuable to get that resistance group on board for more funding this month, or get a payout from the Supply Raid mission? 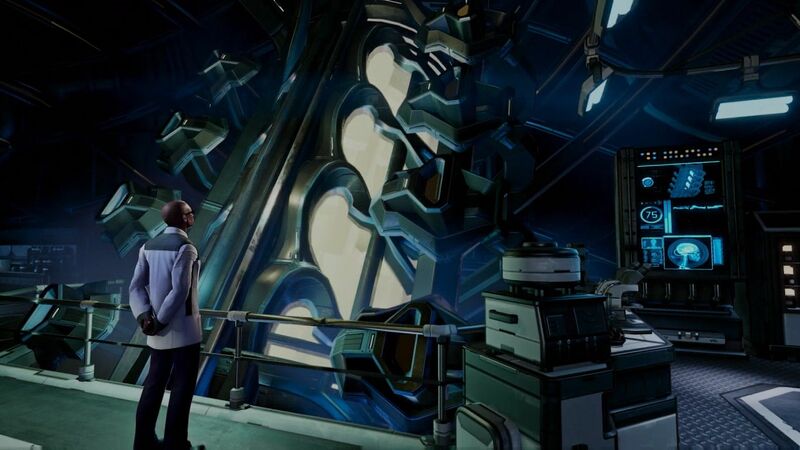 Though base building itself is largely unchanged, you start with minimal research and engineering facilities, putting an emphasis on collecting scientists, rather than constructing laboratories. 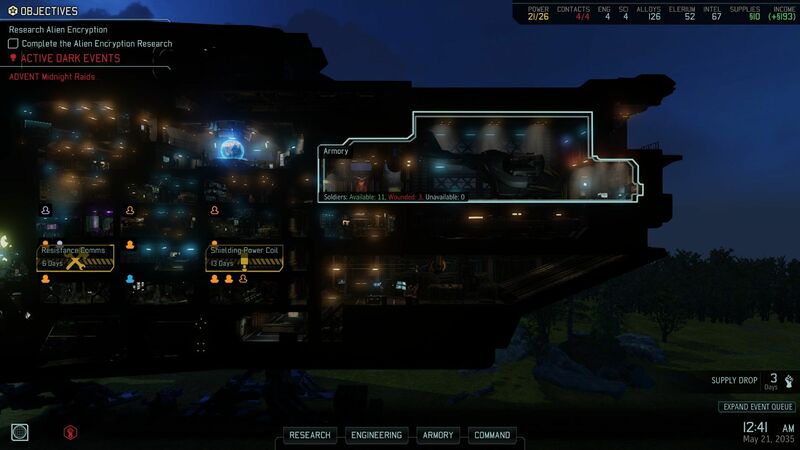 Engineers aren't just for building anymore, as some of the new structures can use an engineer for additional perks. 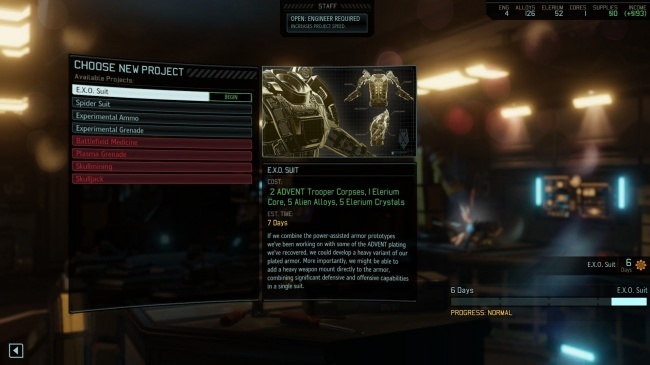 The Proving Grounds, for example, can develop new equipment - completing the Experimental Ammo project can yield items like Tracer Rounds, which give an accuracy bonus to a soldier - but assigning an Engineer to the room will halve the time it takes to complete a project. You'll find most of your one-off gear here, which tends to be a bit more powerful than the general upgrades that are automatically available to all soldiers. EXO Armor is just too powerful to give for free to every soldier. 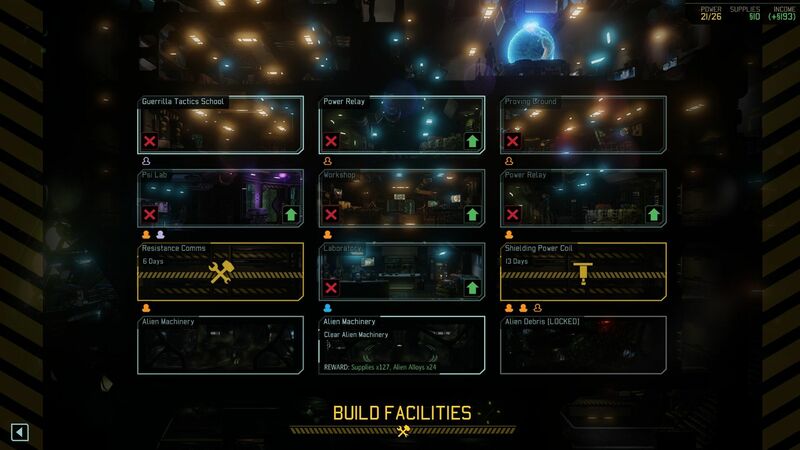 There's the Guerrilla Tactics School, where you get familiar upgrades like increased squad size and bonus experience. Resistance Comms are essential for expanding your influence around the world. The funding system is largely the same, rewarding you monthly for each country - continent bonuses can be incredibly powerful - you control. Being off the grid, you don't have a bank account, so you'll have to go hunting for the supply drop, but there will often be new hireable staff - Engineers and Scientists aren't easy to come by - to motivate you there. 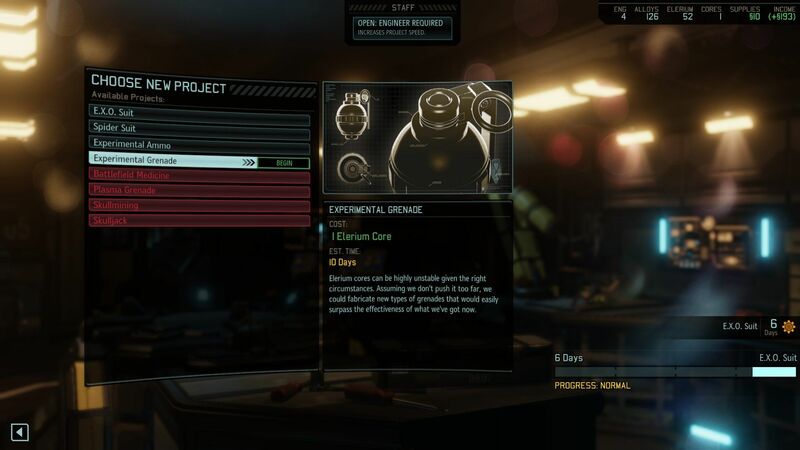 The new Black Market still serves as a great way to bolster your supplies, allowing you to sell extra materials - alien corpses, alien alloys, and Elerium are all still very precious - as well as buying from the market with the Intel currency. 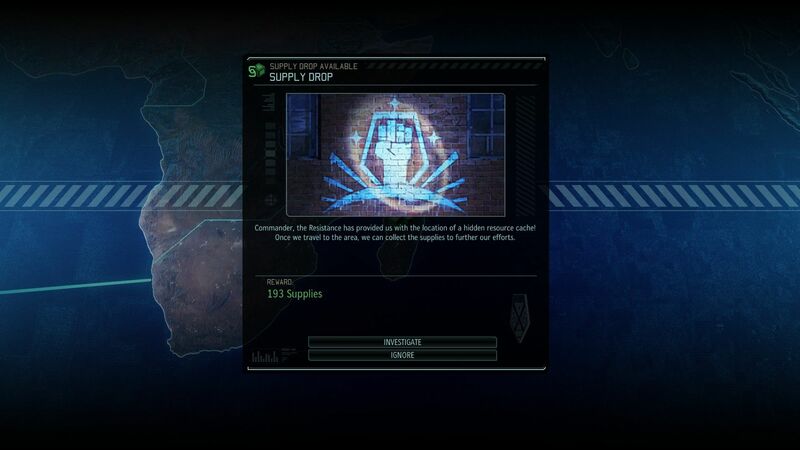 They sell soldiers, staff, and weapon mods, but you can also purchase a heap of supplies, which will let you easily swap out your intel for the more commonly used Supplies currency. 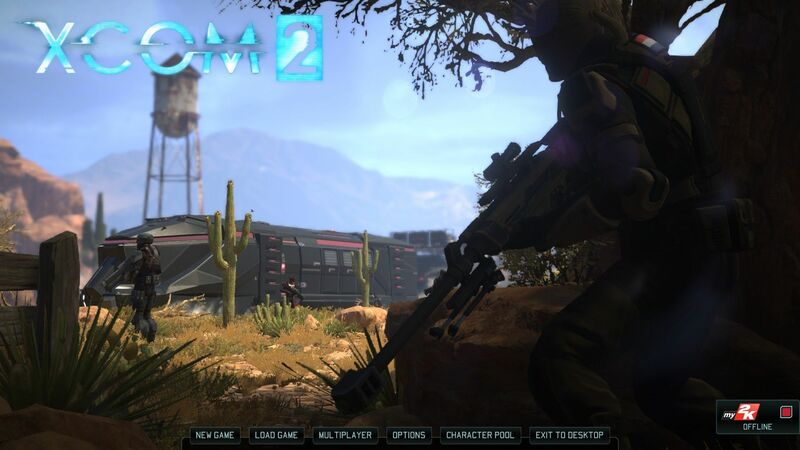 While there are often some weapon mods in stock, the best source of scopes, repeaters, stocks, and other mods are always in-mission loot. Careful with explosives, of course. 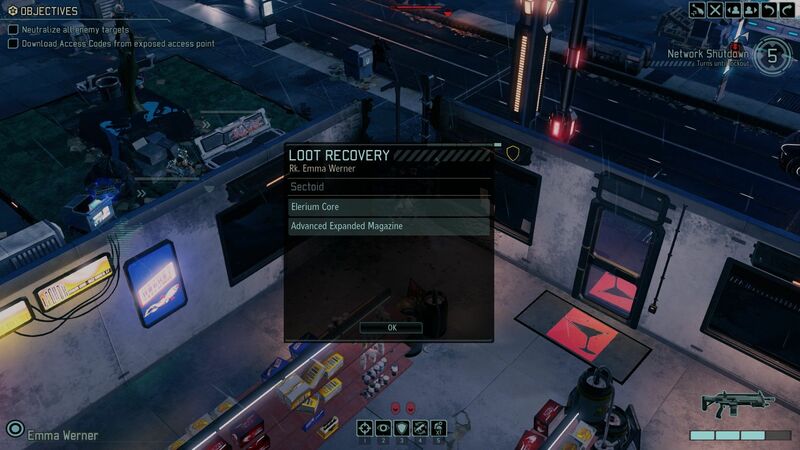 You will destroy loot dropped on explosive kills, and they can be incredibly valuable. 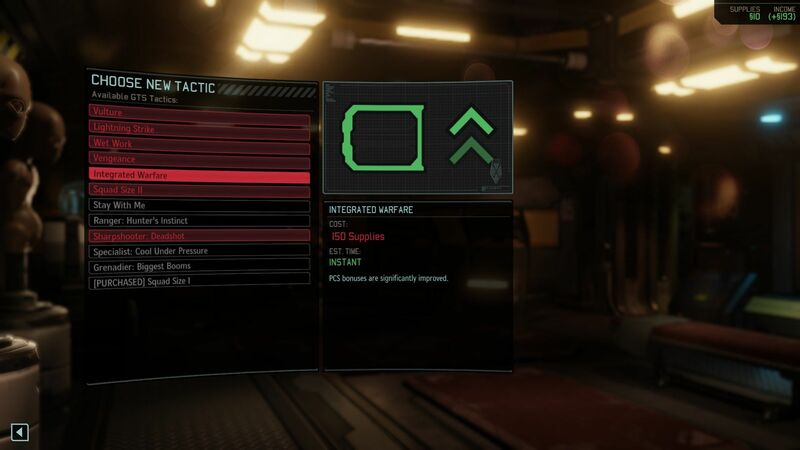 While you're performing scanning missions on the strategy layer, you'll periodically get notifications about on-the-ground missions, where the tactical combat system comes into play. The combat itself is almost entirely unchanged, though some minor changes to mix it up. Where previously heavy units just had a ton of health, the armor mechanic, which is straight damage reduction, means you'll need to focus on shredding armor so your attacks have a meaningful effect. Fortunately, explosives have innate shredding, and the Grenadier's "Shredder" talent gives their regular gun fire shred armor as well. The new procedural maps mean that you won't ever run out of new encounters. 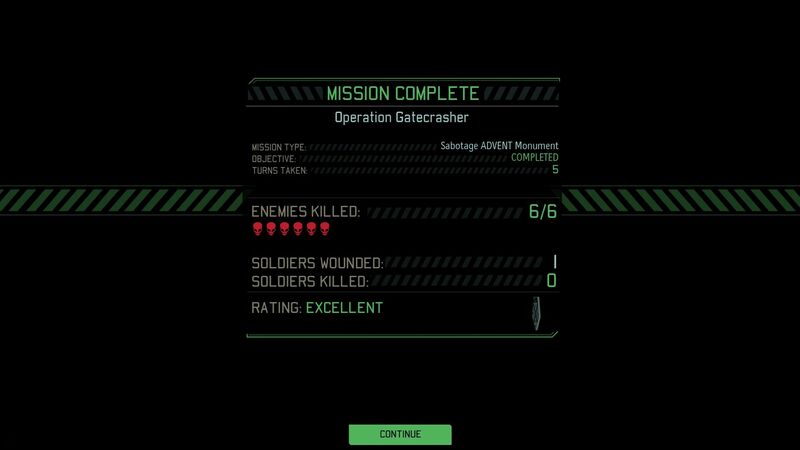 There were a lot before, but after a few playthroughs of Enemy Unknown, you'll likely be familiar with all of the hand-crafted levels. Now, you'll have a new encounter every time for good or ill. The classes are a critical component to the novelty of the experience. Rangers have a melee attack, which you can perform after a sprint, making them ideal for high-health targets behind cover, as long as you can protect them if they end up out of cover. With a sword talent and first sword upgrade, you'll be dealing 10 damage every swing, which is plenty to take down all but the most powerful enemies in a single blow, though you'll rarely end up in cover, so it's a risk-reward decision. 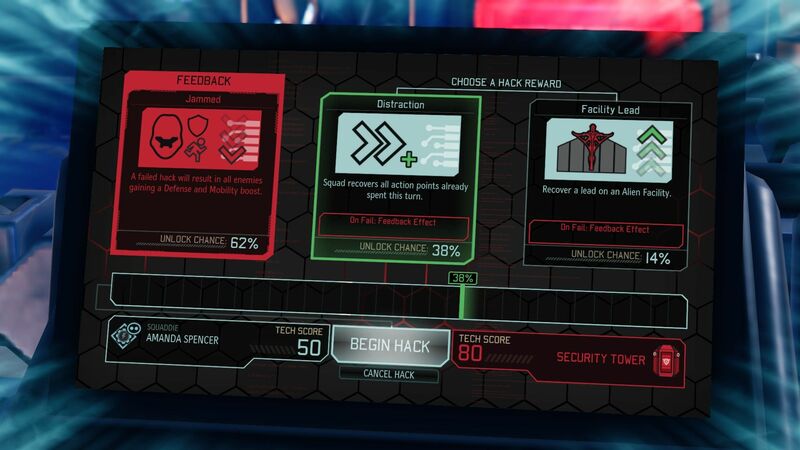 Hacking with the Specialist is a similarly tough choice. 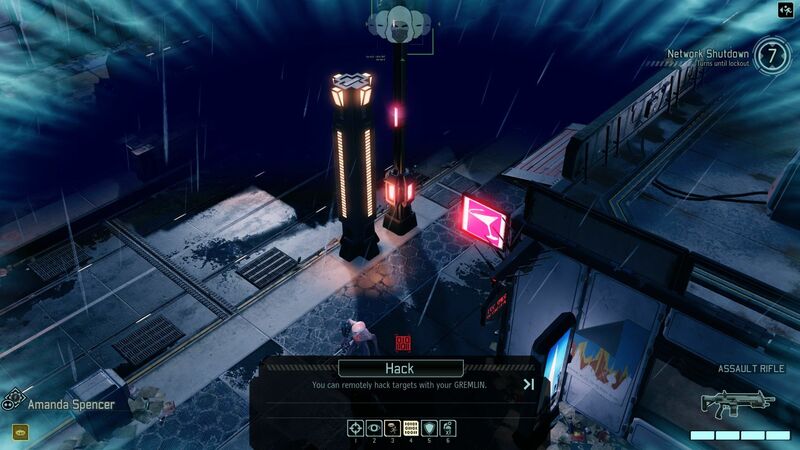 You can send your drone to hack from a distance - you can even send it out with a medkit to heal remotely, which is a very welcome change - where you'll have to decide whether to opt for the easier hack with lesser reward, or the more difficult hack with a greater benefit. 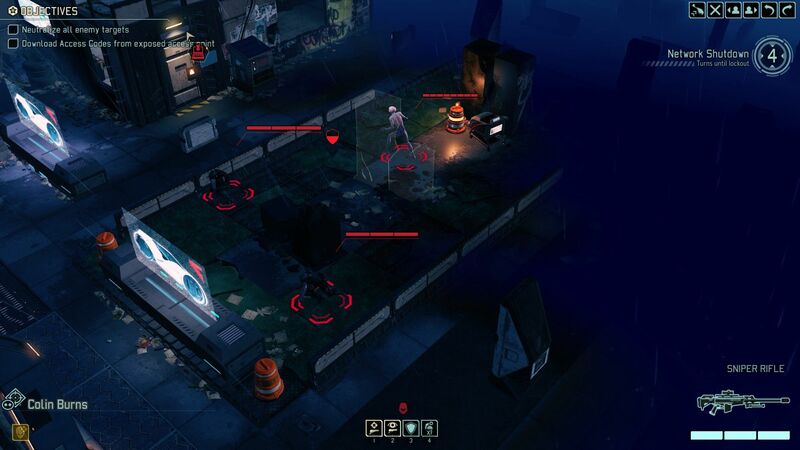 Failing will have consequences, though, like spawning a new group of enemies, or just alerting nearby enemies to your position. Specialists can even take "Haywire Protocol," which lets you hack into Turrets and other mechanical enemies to disable them or even take control for a few turns. 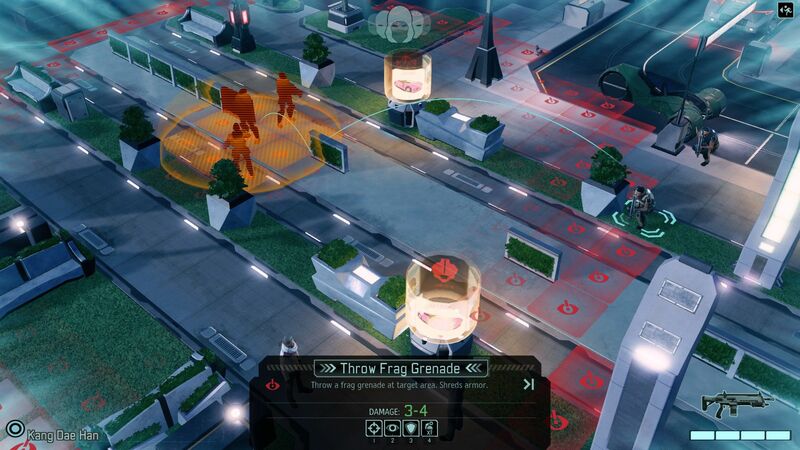 Grenadiers have greater range and damage radius for grenades, and other heavy abilities like Suppression. 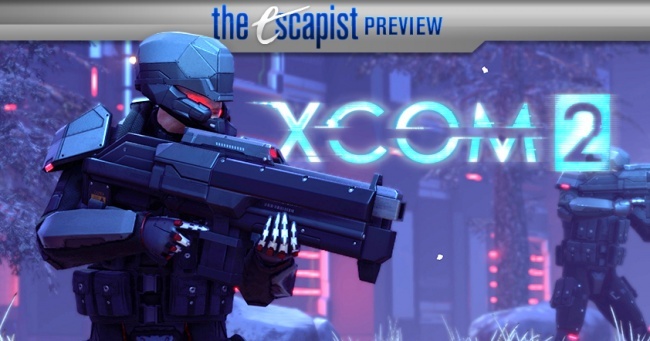 Sharpshooters are good old snipers, but the pistol focus in XCOM 2 seemed far more desirable than previous iterations. One of my favorite pistol talents is Face Off, which gives you one pistol shot on each visible enemy for a single action. 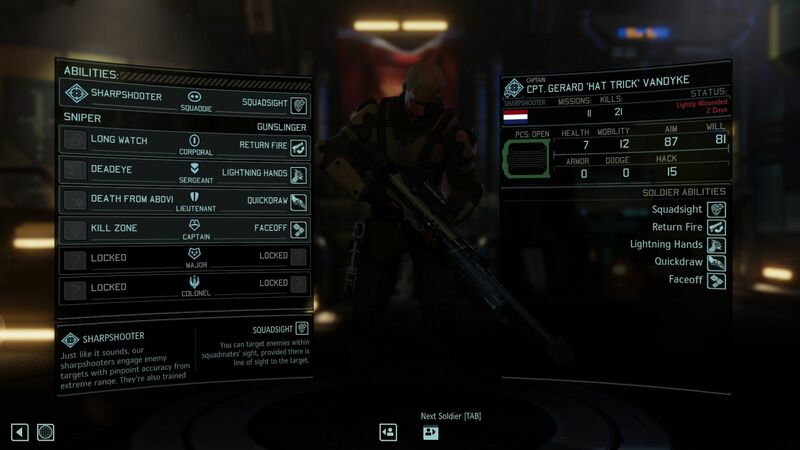 Psi Operatives are a distinct class this time around, so you'll be training them from scratch, rather than modifying an existing soldier. You'll spend a few days training them, then you can start learning new psionic abilities in the Psi Chamber to bolster their abilities. 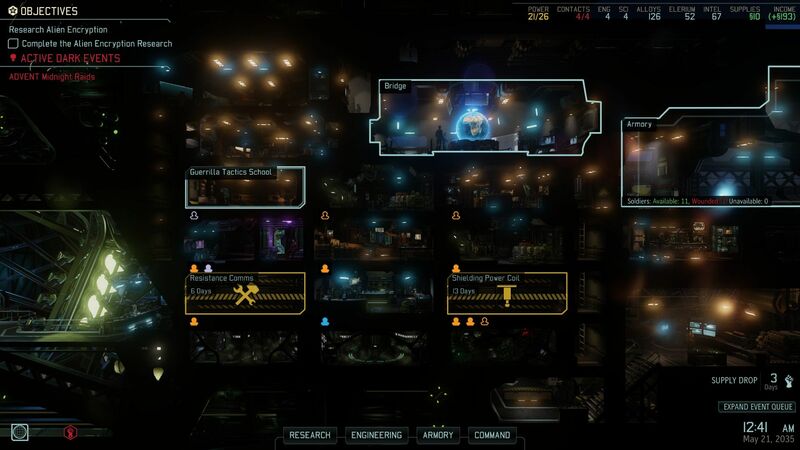 There are over a dozen psi abilities, and a dedicated Psi Operative can eventually learn them all. The preview only included the first two in-game months, and even after my second playthrough I was discovering new things every step of the way. 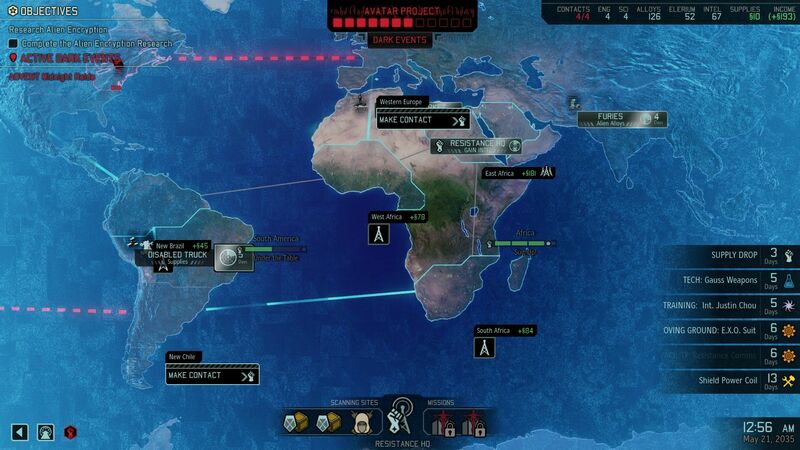 Some additional info would be helpful here and there, but figuring things out has always been a part of XCOM's DNA. 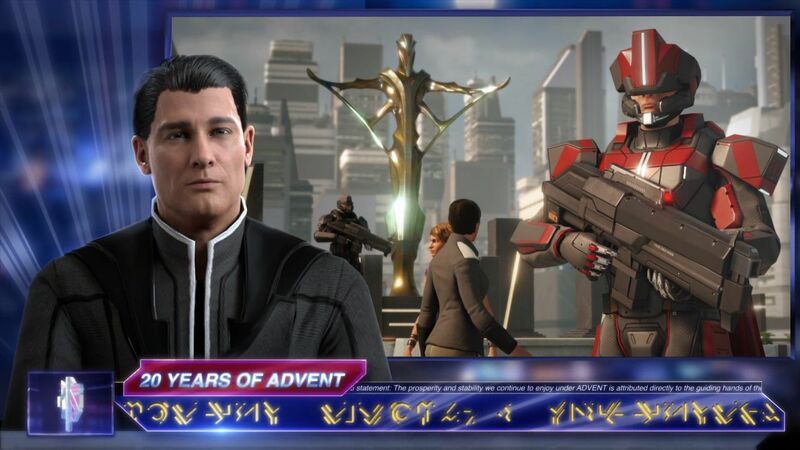 There are a lot of changes, and long-standing players may well take some time to acclimate, but as a lifelong fan of the franchise, I can say with confidence that the updated game mechanics bring far more to the experience than they might detract for the nostalgic.